Louisiana Tech University, colloquially referred to as Louisiana Tech or La. 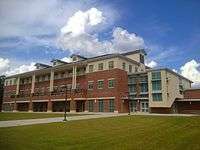 Tech, is a coeducational public research university in Ruston, Louisiana, United States. Louisiana Tech is designated as a Tier One national university by the 2017 U.S. News & World Report college rankings and is the only Tier One national university in the nine-member University of Louisiana System. It is a space grant college, member of the Southeastern Universities Research Association, member of the Association of Public and Land-Grant Universities, and is a "R3: Doctoral University with moderate research activity," according to the Carnegie Foundation Doctoral University. Louisiana Tech conducts research with ongoing projects funded by agencies such as National Aeronautics and Space Administration (NASA), the National Institutes of Health (NIH), the National Science Foundation (NSF), the Department of Defense (DoD), and the Federal Aviation Administration (FAA). Louisiana Tech is one of less than 50 comprehensive research universities in the nation and the only university in Louisiana to be designated as a National Center of Academic Excellence in Information Assurance Education and Research and a National Center of Academic Excellence in Cyber Defense Education and Research by the National Security Agency (NSA) and the United States Department of Homeland Security (DHS). Also, the FAA named Louisiana Tech to the National Center of Excellence for Unmanned Aircraft Systems. The university is known for its engineering and science programs. Louisiana Tech opened as the Industrial Institute and College of Louisiana in 1894 during the Second Industrial Revolution. The original mission of the college was for the education of students in the arts and sciences for the purpose of developing an industrial economy in post-Reconstruction Louisiana. Four years later in 1898, the state constitution changed the school's name to Louisiana Industrial Institute. In 1921, the college changed its name to Louisiana Polytechnic Institute to reflect its evolution into a larger and more capable institute of technology. Under the leadership of Dr. F. Jay Taylor, the college continued to grow and change over time. Louisiana Polytechnic Institute became desegregated in the 1960s and officially changed its name to Louisiana Tech University in 1970 as the school developed into a research university. Louisiana Tech enrolled 12,414 students in five academic colleges during the Fall 2015 academic quarter including 1,718 students in the graduate school. 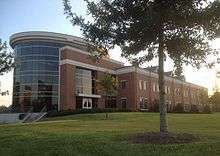 In addition to the main campus in Ruston, Louisiana Tech holds classes at the Louisiana Tech University Shreveport Center, Cyber Innovation Center in Bossier City, Barksdale Air Force Base, and on the CenturyLink campus in Monroe. Louisiana Tech fields 16 varsity NCAA Division I sports teams (7 men's, 9 women's teams) and is a member of Conference USA of the Football Bowl Subdivision. The university is known for its Bulldogs football team and Lady Techsters women's basketball program which won three national championship titles (1981, 1982, 1988) and made 13 Final Four appearances in the program's history. Hale Hall, once a men's dormitory, is now the home of the Louisiana Tech School of Architecture. Ruston College, a forerunner to Louisiana Tech, was established in the middle 1880s by W. C. Friley, a Southern Baptist pastor. This institution lasted for seven years and had annual enrollments of about 250 students. Friley subsequently from 1892 to 1894 served as the first president of Hardin-Simmons University in Abilene, Texas, and from 1909 to 1910, as the second president of Louisiana College in Pineville. On May 14, 1894, the Lincoln Parish Police Jury held a special session to outline plans to secure a regional industrial school. The police jury called upon State Representative George M. Lomax to introduce the proposed legislation during the upcoming session. Representative Lomax, Jackson Parish Representative J. T. M. Hancock, and journalist, lawyer, and future judge John B. Holstead fought for the passage of the bill. On July 6, 1894, the proposed bill was approved as Act No. 68 of the General Assembly of Louisiana. The act established "The Industrial Institute and College of Louisiana", an industrial institute created for the education of white children in the arts and sciences. In 1894, Colonel Arthur T. Prescott was elected as the first president of the college. He moved to Ruston and began overseeing the construction of a two-story main building. 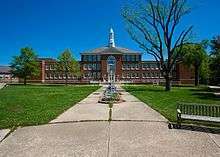 The brick building housed eight large classrooms, an auditorium, a chemical laboratory, and two offices. A frame building was also built nearby and was used for the instruction of mechanics. The main building was located on a plot of 20 acres (81,000 m2) that was donated to the school by Francis P. Stubbs. On September 23, 1895, the school started its first session with six faculty members and 202 students. In May 1897, Harry Howard became the first graduate. Colonel Prescott awarded him with a Bachelor of Industry degree, but there was no formal commencement. The first formal commencement was held in the Ruston Opera House the following May with ten graduates receiving their diplomas. Article 256 of the 1898 state constitution changed the school's name to Louisiana Industrial Institute. Two years later, the course of study was reorganized into two years of preparatory work and three years of college level courses. Students who were high school graduates were admitted to the seventh quarter (college level) of study without examination. As years went by, courses changed and admissions requirements tightened. From 1917 to 1925, several curricula were organized according to the junior college standards and were offered leading to the Bachelor of Industry degree. In 1919, the Board of Trustees enlarged the curricula and started granting a standard baccalaureate degree. The first of these was granted on June 15, 1921, a Bachelor of Science in Engineering. The Constitution adopted June 18, 1921, changed the name of the school in Article XII, Section 9, from Louisiana Industrial Institute to Louisiana Polytechnic Institute. Keeny Hall: Administrative building dates to the middle 1930s; designed, along with several other Tech buildings by architect Edward F. Neild of Shreveport. The Main Building, also known as Old Main, burned to the ground in 1936, but the columns that marked the entrance remain in place behind Prescott Memorial Library. By June 1936, construction on a new administration building had begun. On completion in January 1937, it was named Leche Hall in honor of then Governor Richard W. Leche of New Orleans. The building was renamed after the death of former university president, J.E. Keeny, and remains the remodeled Keeny Hall. Louisiana Polytechnic Institute experienced an infrastructure growth spurt in 1939 and 1940. Seven buildings were designed by architect Edward F. Neild and completed at a cost of $2,054,270. These were Aswell Hall (girls' dormitory), Robinson Hall (men's dormitory for juniors and seniors), Tolliver Hall (880-seat dining hall), Bogard Hall (the Engineering Building), the S.J. Wages Power Plant, Reese Agricultural Hall (located on the South Campus Tech Farm), and the Howard Auditorium & Fine Arts Building. During World War II, Louisiana Polytechnic Institute was one of 131 colleges and universities nationally that took part in the V-12 Navy College Training Program which offered students a path to a Navy commission. In 1959, four students were awarded the first master's degrees by the institution. The 16-story Wyly Tower of Learning, named for the benefactors Sam Wyly and Charles Wyly, is the most prominent building on the Louisiana Tech campus in Ruston, Louisiana. It was designed by the Bastrop architect Hugh G. Parker, Jr. Though the Wyly Tower is the landmark campus structure, the university is planning to have the structure razed to make way for a revised library facility. The tower has been cited for lack of ventilation, asbestos, difficulty of providing fire protection, and stairwells do not exit to the exterior of the building. In 1962, Foster Jay Taylor became the 12th President of the Louisiana Polytechnic Institute, having succeeded Ralph L. Ropp. During his twenty-five years at president, Dr. Taylor oversaw the transformation of the former Louisiana Polytechnic Institute into Louisiana Tech University. The university's enrollment grew from about 3,000 students in 1962 to roughly 12,000 students in 1987. Most of the modern buildings on the Main Campus were either built or renovated during Taylor's tenure as university president. The main athletic facilities were constructed during the Taylor Era including Joe Aillet Stadium, the Thomas Assembly Center, J.C. Love Field, and the Lady Techster Softball Complex. In addition to the athletic facilities, the 16-story Wyly Tower, Student Bookstore, Nethken Hall (Electrical Engineering building), the University President's House, and the current College of Business Building were built on the Main Campus. In order to house the increasing student body of Louisiana Tech, Dr. Taylor led the construction of Graham, Harper, Kidd, Caruthers, and Neilson residence halls. Taylor's time as Louisiana Tech president also marked the beginning of Lady Techster athletics. In 1974, Taylor established the Lady Techsters women's basketball program with a $5,000 appropriation. He hired Sonja Hogg, a 28-year-old PE instructor at Ruston High School, as the Lady Techsters' first head coach. Under Coach Hogg and her successor Leon Barmore, the Lady Techsters won three National Championships during the 1980s. In 1980, Dr. Taylor founded the Lady Techster Softball team with Barry Canterbury serving as the team's first head coach. The team made seven straight teams to the NCAA Softball Tournament and three trips to the Women's College World Series during the 1980s. The first doctorate was awarded in 1971, a Ph.D. in chemical engineering. In 1992, Louisiana Tech became a "selective admissions" university. This university has increased their admissions criteria four times since 2000 by raising the minimum overall grade point average, composite ACT score, and class ranking. Louisiana Tech has earned recognition from the Louisiana Board of Regents for its graduation rate and retention rate. According to a report of the Louisiana Board of Regents published in December 2011, Louisiana Tech has the second-highest graduation rate among the fourteen public universities in the state of Louisiana. The 53.3% 6-year graduation rate is the highest in the University of Louisiana System. Louisiana Tech has a 78.64% retention rate among incoming freshmen who stay with the same school after the first year, the top rate in the University of Louisiana System. The average time-to-degree ratio for Tech's graduates is 4.7 years, the fastest in the UL System. Louisiana Tech became the first in the world to confer a Bachelor of Science degree in nanosystems engineering when Josh Brown earned his degree in May 2007. Continuing its mission as an engineering pioneer, Louisiana Tech also launched the nation's first cyber engineering BS degree in 2012. As of May 2011, Louisiana Tech had awarded more than 91,300 degrees. The campus of Louisiana Tech University is located in Ruston, Louisiana. The major roads that border or intersect the Tech campus are Tech Drive, California Avenue, Alabama Avenue, and Railroad Avenue. Interstate 20 and U.S. Highways 80 and 167 are located within one mile (1.6 km) of the Main Campus. In addition, a set of railroad tracks operated by Kansas City Southern Railway bisects the campus near Railroad Avenue. The portion of the Main Campus located west of Tech Drive and north of the railroad include all of the university's major athletic facilities except for J.C. Love Field. The land east of Tech Drive and north of the railroad include the Lambright Intramural Center, J.C. Love Field, and the University Park Apartments. Most of the older residence halls are located near California Avenue and along Tech Drive south of the railroad tracks. The older part of the Main Campus is located south of Railroad Avenue. The Enterprise Campus is located on a 50-acre (200,000 m2) plot of land east of Homer Street and bordering the oldest part of the Main Campus. In addition to the Main Campus, Louisiana Tech also has 474 acres (1.92 km2) of land located on the South Campus, 167 acres (0.68 km2) of farm land west of the Main Campus, 603 acres (2.44 km2) of forest land in Winn, Natchitoches, and Union Parishes, 30 acres (120,000 m2) of land in Shreveport, a 44-acre (180,000 m2) golf course in Lincoln Parish, 14 acres (57,000 m2) of land for an arboretum west of the Main Campus, and a Flight Operations Center at Ruston Regional Airport. 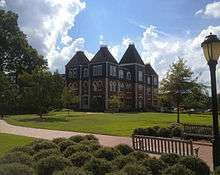 The Main Campus at Louisiana Tech University originated in 1894 as a 20-acre (81,000 m2) plot of land with only two buildings, The Old Main Building and a frame building nearby used by the Department of Mechanics (the forerunner of the College of Engineering and Science). Today, the Main Campus is housed on 280 acres (1.1 km2) of land with 86 buildings including 22 apartment buildings for the University Park Apartments on the north part of the campus. Many of the buildings, especially the older buildings, on the Main Campus are built in the Colonial Revival style. Bogard Hall, Howard Auditorium, Keeny Hall, University Hall (formerly the original Prescott Library), Reese Hall, Robinson Hall, and Tolliver Hall are all included on the National Register of Historical Places. The oldest existing building on Louisiana Tech's campus is the Ropp Center. The Italian-style, wood-frame house was constructed in 1911 and is named after Ralph L. Ropp, Louisiana Tech's President from 1949 to 1962. 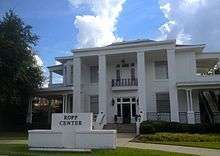 The Ropp Center served as the home of seven Louisiana Tech Presidents until a new president's house was built in 1972 on the west side of Tech's campus. The Ropp Center was used by the College of Home Economics for thirteen years until the Office of Special Programs moved into the building in 1985. In 2002, a $1 million renovation was completed to transform the Ropp Center into a faculty and staff club that is used for special events and housing for on-campus guests. The Quadrangle (the Quad) is the focal point of the oldest part of the Main Campus. The Quad is considered to be one of the most peaceful and beautiful locations at Louisiana Tech. Large oak trees and park benches all around the Quad provide students and visitors a quiet place to study and relax. At the center of the Quad is The Lady of the Mist sculpture and fountain, a landmark for students and alumni alike. The buildings surrounding the Quad are Keeny Hall, Howard Auditorium, the Student Center, the Bookstore, the Wyly Tower of Learning, the current Prescott Memorial Library, and the original Prescott Library now known as University Hall. Another popular location on the Main Campus is Centennial Plaza. In 1994, Centennial Plaza was constructed to commemorate the 100th anniversary of Louisiana Tech's founding. The plaza was funded by a student self-assessed fee and designed specifically for the use and enjoyment of the student body. Centennial Plaza is used for special events throughout the year, such as Christmas in the Plaza, movie events, and student organizational fairs. Centennial Plaza is one of the main gathering points of the students due to the plaza's close proximity to the on-campus restaurants, coffee shops, dining halls, university post office, and offices for Student Life, SGA, and Union Board. At the center of the plaza is the Clock Tower which has the sound and digital capabilities to play the Alma Mater, Fight Song, and any other songs and calls as needed. The Alumni Brick Walkway runs through Centennial Plaza and around the Clock Tower. A large Louisiana Tech seal marks the middle of Centennial Plaza just west of the Clock Tower. Centennial Plaza is enclosed by Tolliver Hall, the Student Center, Howard Auditorium, and Harper Residence Hall. Louisiana Tech has two main dining halls on Wisteria Drive on the west end of Centennial Plaza. The first dining hall is the Student Center which is home to the cafeteria, a smaller dining hall for eating and socializing, the La Tech Cafe, several small restaurants including Chick-fil-A, and the Tonk. The Student Center is also home to the CEnIT Innovation Lab, several large study areas, and a conference room. One of the three bronze bulldog statues is located on the first floor of the Student Center near the entrance of the Tonk. Students pet the bulldog statue for good luck as they walk by the statue. The second student center on the Tech campus is Tolliver Hall. Tolliver Hall, named after Tech's first full-time dietitian Irene Tolliver, is located at the west end of Centennial Plaza near the Wisteria Student Center. This two-story building was built in the 1920s as one of three dining halls at Louisiana Tech. The eating area in the second floor remained open until it was shut down in the 1980s. 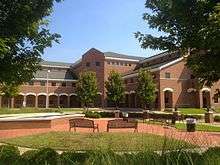 In 2003, nearly $3 million was spent to renovate Tolliver Hall into a modern cyber student center. The second floor now houses a cyber cafe which includes computer stations, a McAlister's Deli restaurant, several smaller restaurants, a large dining area with big-screen televisions, and smaller tables surrounding the floor for dining and studying. The offices of the Louisiana Tech Student Government Association, Union Board, the International Student Office, and multicultural affairs are also housed on the second floor. The first floor is used as the post office for Tech's students, faculty, and administration officials. In the past decade, Louisiana Tech built new buildings and renovated some of the Main Campus' older buildings. The university erected Davison Hall (home of the university's Professional Aviation program), the Micromanufacturing Building, and the Biomedical Engineering Building on the south end of the Main Campus along Hergot Avenue. Tech tore down the old Hale Hall and constructed a brand-new Hale Hall in the style and design of the predecessor in 2004. On the eastern edge of the campus, the university renovated the building now known as University Hall, redesigned the bookstore interior, and made needed repairs to Keeny Hall and Howard Auditorium. All of the major athletics facilities on the north part of the Main Campus have received major upgrades and renovations in the past five years. Construction started in early 2011 on a new College of Business building. The 42,000-square-foot (3,900 m2) facility serves as the centerpiece of the entrepreneurship and business programs of the College of Business. The building features new classrooms, two auditoriums, computer labs, research centers, meeting rooms, and career and student support centers. Louisiana Tech has announced plans to construct a new 60,000-square-foot (5,600 m2) College of Engineering and Science building adjacent to Bogard Hall. The campus also hosts the Idea Place, a science museum; A.E. Phillips Lab School, a K-8 school which is recognized as a "Five Star School" by the Louisiana Department of Education; and the Joe D. Waggonner Center for Bipartisan Politics and Public Policy. South Campus is located southwest of the main campus in Ruston and covers nearly 900 acres (364 ha). It is home to the School of Agricultural Science and Forestry, Center for Rural Development, Equine Center, John D. Griffin Horticultural Garden, and Tech Farm. The Tech Farm Salesroom markets dairy, meat, and plant products produced and processed by Tech Farm to the public. Students enrolled in agriculture or forestry programs attend classes in Reese Hall, the agricultural laboratory, and in Lomax Hall, the forestry and plant science complex which is home to the Louisiana Tech Greenhouses, Horticultural Conservatory, and the Spatial Data Laboratory. In Fall Quarter 2009, the university broke ground on the new Enterprise Campus which will expand the campus by 50 acres (20 ha) upon completion. The Enterprise Campus will be a green building project and will be a research facility available to technology companies and businesses. The Enterprise campus will also try to bridge the Engineering and Business colleges with the addition of the Entrepreneurship and Innovation Center (EIC). In 2010, Louisiana Tech finished the renovations of the old Visual Arts Building by transforming that building into the new Entrepreneurship and Innovation (E&I) Center. The E&I Center will serve as the central hub for the Center for Entrepreneurship and Information Technology's (CEnIT) programs and is located between the College of Business building and Bogard Hall (COES). Louisiana Tech broke ground on Tech Pointe, the first building on the Enterprise Campus, in 2010. Tech Pointe will house the Cyberspace Research Laboratory as well as high-tech companies and start-up technology companies. The 42,000-square-foot (3,900 m2) facility will include access to the Louisiana Optical Network Initiative (LONI), fiber-optic and Internet networks, advanced computing capabilities, and other information technology supports needed to meet the demands of 24/7 high-tech companies and specialized cyber security research. Tech Pointe is scheduled for completion sometime in 2011. The university recently unveiled plans to build a new College of Engineering and Science (COES) building. The three-story, 127,000-square-foot (11,800 m2) building will provide new active learning class labs; engineering shops; and meeting rooms for classes in math, science, and engineering. The new COES building will provide new learning space for the university's first-year and second-year engineering and science students for the first time since the completion of Bogard Hall in 1940. Upon completion of the new College of Engineering and Science building, Louisiana Tech plans to renovate and improve Bogard Hall. Since September 1965, Louisiana Tech has offered on-base degree programs through its satellite campus at Barksdale Air Force Base in Bossier City, Louisiana. The university works in conjunction with the Department of the Air Force to provide postsecondary education programs that are designed to meet the needs of Air Force personnel. While the primary focus of the Barksdale campus is to educate Air Force personnel, civilians are permitted to take part in the classes offered at the Barksdale campus if space is available. All courses offered at Tech Barksdale are taught on-base or online. The administrative offices for the Louisiana Tech Barksdale Air Force Program are located in the Base Education Center. As of the Fall 2016 quarter, Louisiana Tech had an all-time record high enrollment of 12,694 students pursuing degrees in five academic colleges. The student body has members from every Louisiana parish, 48 U.S. states, and 68 foreign countries. Louisiana residents account for 85.0% of the student population, while out-of-state students and international students account for 11.1% and 4.0% of the student body, respectively. The student body at Louisiana Tech is 69.4% white, 13.3% black, 3.8% international students, and 13.5% other or "unknown" ethnicity. The student body consists of 50.2% women and 49.8% men. The Fall 2015 incoming freshmen class at Louisiana Tech consisted of 1,962 students. This incoming freshmen class had an average 24.5 ACT score, with 29% scoring between 27-36 and 47% scoring between 22-26. Of the 2015 freshmen class, 83.0% are Louisiana residents, 16.3% are out-of-state students, and 0.7% are international students. Louisiana Tech's 2015 freshman class includes ten National Merit Scholars and one National Achievement Scholar. As of Fall 2015, the College of Engineering and Science had the largest enrollment of any college at Louisiana Tech with 22.9% of the student body. The College of Education, College of Liberal Arts, the College of Applied and Natural Sciences, and the College of Business had 18.4%, 14.0%, 13.1%, and 9.5%, respectively. About 22.2% of the student body were enrolled in Basic and Career Studies. In the 2017 U.S. News and World Report ranking of public universities, Louisiana Tech is ranked 110th, and Louisiana Tech is ranked in Tier One of national universities at 202nd. Forbes 2016 edition of America's Top Colleges ranked Louisiana Tech as the 122nd best public college in the nation, the 161st best research university in the nation, the 392nd best college overall, and the 81st best college in the South. According to The Washington Monthly's 2016 national universities rankings, which consider research, community service, social mobility, and net price of attendance, Louisiana Tech ranked 209th nationally. The Business Journal's 2016 rankings of U.S. public colleges, which identify the public universities and colleges that offer the best educational experiences to their students, ranked Louisiana Tech the 126th best public university in the nation. Louisiana Tech was ranked 168th nationally in the The Daily Beast's College Rankings 2014, which accounts for nine factors, with future earnings, affordability, and academics weighted most heavily. In 2016, Louisiana Tech was ranked 189th in the nation and 667th in the world by the Center for World University Rankings. In 2016, Times Higher Education World University Rankings named Louisiana Tech one of twenty universities in the world that are rising stars and could challenge the elites to become globally renowned by the year 2030. Money magazine named Louisiana Tech the best college in Louisiana in their 2016 The Best College in Every State publication. In addition, Louisiana Tech ranked 235th in Money's Best Colleges, which ranked schools based on value by assessing educational quality, affordability, and alumni success. In the 2016 U.S. News and World Report Best Colleges rankings, Louisiana Tech ranked No. 1 among public national universities and 6th among all national universities for graduating students with the least amount of debt. Louisiana Tech ranked 6th in Business Insider's 2015 Most Underrated Colleges In America rankings. According to the 2015–2016 PayScale College Salary Report salary potential for all alumni, Louisiana Tech ranks first among all public and private institutions in Louisiana, 60th nationally among public schools, 84th nationally among research universities, and 184th nationally among all universities and colleges. In the 2016 Kiplinger's Personal Finance Best College Values rankings, Louisiana Tech ranked No. 1 for all Louisiana public colleges, 66th in the nation for in-state students of all public colleges, 80th in the nation for out-of-state students of all public colleges, and 249th of all public and private colleges in the United States. In the 2017 U.S. News and World Report Best Colleges rankings, Louisiana Tech's undergraduate engineering program ranked 135th in the nation, and Tech's undergraduate business program ranked 248th. In the 2017 U.S. News and World Report Best Grad Schools rankings, Louisiana Tech ranked 139th in engineering, 141st in speech-language pathology, 164th in education, and 209th in psychology. According to the Association for University Technology Managers, Louisiana Tech is ranked as the nation's 2nd best academic institution for innovation productivity as measured by number of new inventions generated per research dollar expended. The university confers associate's, bachelor's and master's degrees through its five academic colleges. Additionally, Louisiana Tech offers doctoral degrees in audiology, business administration, counseling psychology (accredited by the American Psychological Association), industrial/organizational psychology, computational analysis and modeling, engineering, and biomedical engineering, with a joint MD-PhD program with the Louisiana State University Health Sciences Center Shreveport. The College of Applied and Natural Sciences is made up of the School of Agricultural Sciences and Forestry, School of Biological Sciences, Department of Health Informatics and Information Management, School of Human Ecology, and Division of Nursing. The College of Business is divided into the Departments of Accounting, Economics & Finance, Graduate Studies & Research, Management & Information Systems, and Marketing & Analysis. Louisiana Tech College of Business also houses Academy of Marketing Science. Academy of Marketing Science is the premier body of both national and international marketing scholars. Academy of Marketing Science publishes the top marketing journal -"The Journal of Academy of Marketing Science". College of Business has one of the strongest professional selling and sales management scholarship. In 2009, Louisiana Tech launched their Executive Master of Business Administration (EMBA) program designed specifically for executives and managers. The curriculum of the EMBA program places an emphasis on strategic thinking, leadership skills, and management decision-making. The 30 credit hour (10 course) program is taught at the Technology Transfer Center in Shreveport and the CenturyLink headquarters in Monroe. The Shreveport EMBA program hosted their first EMBA class in January 2009, and the second group of EMBA students started their studies at Shreveport in 2011. The Monroe EMBA program held their first EMBA class in January 2010 in conjunction with the University of Louisiana at Monroe's College of Business, and their second group of EMBA students are scheduled in start their classes in 2012. Woodard Hall, headquarters of the Tech Education Department, opened in the 1960s. The College of Education traces its mission back to the origins of Louisiana Tech in 1894, where the preparation of teachers was one of the early missions of the institution. In 1970, the School of Education was elevated to the level of College. Today, the College of Education consists of three separate departments: The Department of Curriculum, Instruction, and Leadership, The Department of Kinesiology, and The Department of Psychology and Behavioral Sciences. Together, the three academic departments award thirty-five different academic degrees ranging from the baccalaureate to the doctoral levels. Notable subdivisions of the College of Education include A.E. Phillips Laboratory School, the Science and Technology Education Center, the NASA Educator Resource Center, The IDEA Place, and the Professional Development and Research Institute on Blindness. The College of Engineering and Science (COES) is the engineering school at Louisiana Tech University. The COES offers thirteen undergraduate degrees including seven engineering degrees, two engineering technology degrees, and four science degrees. The college also offers seven Master of Science degrees and four Doctorate degrees. The college started as the Department of Mechanics in 1894 with a two-year program in Mechanic Arts. Since its founding, the college expanded its degree program to include chemical engineering, civil engineering, electrical engineering, industrial engineering, and mechanical engineering. 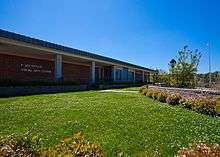 The COES began offering one of the first biomedical engineering curriculum programs in the United States in 1972 and the first nanosystems engineering BS degree in 2005. Louisiana Tech launched the nation's first cyber engineering BS degree in 2012. Bogard Hall is the second and current home of the College of Engineering and Science. Louisiana Tech constructed the building in 1940 and named it after Frank Bogard, the former Dean of Engineering at Louisiana Tech. The college also utilizes Nethken Hall, the Biomedical Engineering Building, the Institute for Micromanufacturing, and parts of Carson-Taylor Hall for the college's activities. In early 2011, Louisiana Tech announced plans to construct a new Integrated Engineering and Science Building adjacent to Bogard Hall. The 60,000-square-foot (5,600 m2) building will provide new classrooms, shops, and meeting rooms for engineering, science, and math students at Louisiana Tech. When the new engineering building is complete, the university will begin renovations of Bogard Hall. The F. Jay Taylor Visual Arts Center is the main building for LaTech's School of Design. The College of Liberal Arts hosts the Louisiana Tech University Honors Program. Tech's Air Force Reserve Officer Training Corps (ROTC) Detachment 305 is also part of the College of Liberal Arts. In 2001, Louisiana Tech proposed the creation of the Center for Entrepreneurship and Information Technology (CEnIT), a collaboration between the College of Engineering & Science (COES) and the College of Business (COB). The CEnIT focuses the resources of the two colleges and their related centers in promoting entrepreneurial research, technology transfer, and education. The CEnIT was approved in 2002 by the University of Louisiana System Board of Supervisors and the Louisiana Board of Regents. As of 2011, the CEnIT is housed in the 3,000-square-foot (280 m2) CEnIT Innovation Lab on the main floor of the Student Center next to The Quad. The center will move to the newly renovated University Hall building located next to the College of Business sometime in 2011. The Top Dawg Competition was created in 2002 by the Association of Business, Engineering, and Science Entrepreneurs (ABESE), now known as Bulldog Entrepreneurs. The annual competition is hosted by Bulldog Entrepreneurs and in conjunction with the CEnIT, COES, College of Business, and the Technology Business Development Center (TBDC). The competition started as the Top Dawg Business Plan Competition in 2002 and expanded six years later to include the Idea Pitch Competition. Participants in the Top Dawg Competition create teams to develop innovative ideas into real businesses and showcase intellectual properties developed by Louisiana Tech researchers and students. The teams must foster an idea, create a business plan, and compete for cash prizes and resources needed to further develop the team's concept. The total amount of money awarded during each competition to the competing teams has grown since 2002 to $14,500 for the 2011 Competition. In addition to prize money from the COES and College of Business, additional prize money is awarded by Jones Walker, Louisiana Tech's Innovation Enterprise Fund, and the Ruston-Lincoln Parish Chamber of Commerce. Louisiana Tech established the Global_Campus on September 16, 2008. The campus offers a variety of degree programs, certificate programs, and general education courses. Global_Campus focuses on providing more flexibility and choices to Tech's traditional students and complete online education services to non-traditional students, such as military, international, and dual enrollment students. As of 2011, Global_Campus offers over 275 distance learning courses while more courses are in development. Louisiana Tech has six master's degree programs, two bachelor's degree programs, and one associate degree program available via distance learning. In addition to the nine degree programs, Global_Campus offers eight professional development programs. In the Fall of 2011, Louisiana Tech and CenturyLink created a partnership called "CenturyLink@LaTech" to meet the workforce development and training needs of CenturyLink. It is designed for CenturyLink employees with general responsibilities and interests in telecommunications engineering, information technology or information systems. CenturyLink@LaTech offers a Communications Systems Graduate Certificate. In January 2011, Louisiana Tech and Murphy USA announced a partnership called "MurphyUSA@LaTech" with the first classes scheduled to start in the 2011 Summer Quarter. The joint venture is designed to provide "targeted educational and professional developmental programs" to MurphyUSA managers around the world. MurphyUSA@LaTech will be housed in the Division of Continuing Education and Distance Learning and is available only to active and eligible employees of Murphy Oil USA. MurphyUSA@LaTech offers Certificates of Completion in Communications, Liberal Studies, Business, Psychology, History, English, and Social Services. The joint venture also offers the Bachelor of General Studies, Master of Business Administration, and Master of Engineering and Technology Management degree programs. Louisiana Tech has over 163 officially recognized student organizations. Students can opt to participate in Student Government, Union Board, The Tech Talk, Louisiana TechTV, Lagniappe, Greek, religious, honor, service, spirit, intramurals, club sports, pre-professional, and special interest organizations. The Louisiana Tech University Union Board organizes entertainment activities for Louisiana Tech students throughout the entire school year. About 80 students participate in Union Board each academic school year. The Union Board receives an annual budget of about $210,000 in Student Assessment Fees and uses the money to organize and produce the annual Fall Fling, Talent Show, Spring Fling, Tech the Halls, the Miss Tech Pageant, RusVegas casino night, and other special events. The Student Government Association (SGA) is the official governing body of the Louisiana Tech University Student Association (the student body) and consists of three branches; the Student Senate, Executive Branch, and the Supreme Court. The organization is responsible for the Welcome Week/Dawg Haul activities, Homecoming Week, the Big Event, short term student loans, voter registration drives for the student body, and other various activities throughout the year. Louisiana Tech and neighboring Grambling State University operate an ROTC exchange program. Louisiana Tech operates the Air Force ROTC while Grambling operates the Army ROTC, and students from either school may participate in either program. Since 2006, Louisiana Tech has played host to Summer Leadership School for Air Force Junior Reserve Officer Training Corps cadets from public school systems all over the United States. It is operated by normal USAF retirees, but mostly by college level Cadet Training Officers. These sessions are held towards the end of the month of June for nine days. The Tech Talk is Louisiana Tech's official student newspaper since 1926. The Tech Talk is published every Thursday of the regular school year, except for finals week and vacation periods. The award-winning newspaper has been honored in the past few years by the Southeast Journalism Conference (SEJC), Louisiana Press Women, National Federation of Press Women, Louisiana Press Association, and the Society of Professional Journalists. The Tech Talk was named the 10th Best Newspaper in the South in 2010 and the 3rd Best Newspaper in the South in 2011 by the Southeast Journalism Conference. Speak Magazine is Louisiana Tech's student magazine. It has been published quarterly since 2014. The Lagniappe is Tech's yearbook. The Lagniappe, which literally means "something extra" was first published in 1905 and has been published every year since except for 1906, 1913–1921, 1926, and 1944–1945. The yearbook's annual release date is around the last week of the regular school year in the middle of May. The Lagniappe was recognized in May 2011 as "First Class" by the Associated Collegiate Press and as one of the top 2 percent of high school and collegiate yearbooks by Balfour Publishing's "The Yearbook's Yearbook". Mary May Brown, the recently retired faculty advisor of the Lagniappe for 23 years was named the Collegiate Publications Advisor of the Year by the Louisiana Press Women in 2011. Louisiana Tech's local radio station is KLPI. The radio station was founded as WLPI-AM in 1966 and originally housed in a rented office on Railroad Avenue in downtown Ruston. By 1974, construction was completed on KLPI-FM, and the radio station began broadcasting at 10 watts. Afterward, WLPI-AM was shut down due to maintenance problems with the station's equipment. Today, KLPI transmits at 4,000 watts of power and is located at the southeast corner of the Student Center at the heart of the Tech campus. Louisiana TechTV is the official student-run television station at Louisiana Tech since its launch in 2000. TechTV shows newly released movies, TechTV news, personal news clips by the general student body, original programming like Tech Cribs, Tech Play, and informational slides for upcoming campus events. A building program is underway to move from traditional dormitories to apartment-style complexes. The first of these, University Park, opened in 2004 and houses up to 450 students. The second phase, known as University Park 2 (UP2) opened in 2008. The third phase, Park Place, opened in 2009. While the university is constructing new apartment-style student housing complexes, Louisiana Tech is moving to demolish some of the traditional dormitories. The Kidd Residence Hall on the southern part of the Tech campus was demolished in 2004. The university also demolished the Caruthers and Neilson Residence Halls on the north side of the campus. The planned demolition of Caruthers Hall was postponed in 2005 to allow three hundred evacuees from Hurricane Katrina to stay in the dorm for three months. Louisiana Tech has 21 nationally recognized Greek organizations. Each fraternity and sorority on the Tech campus promotes community services, philanthropy, and university involvement through each organization's own locally and/or nationally designated service project. The local Kappa Delta sorority raised over $10,000 this year from their annual Shamrock 5K & 1 Mile Run to benefit the Methodist Children's Home of Ruston. Since 2002, the Phi Mu sorority has held a golf tournament to benefit the Children's Miracle Network. The Phi Mu Golf Tournament raised $7,000 in 2007 and $10,000 in 2009. Sigma Kappa has held the "Kickin' Grass" kickball tournament to benefit the Alzheimers Research Foundation since 2009 and raised $2,300 during the 3rd Annual tournament in 2011. The Greek organizations also participate in other university activities including the Big Event, Homecoming Week activities, the Homecoming Step Show, and Bulldog Football tailgating at Hide-Away Park near Joe Aillet Stadium. The fraternities and sororities participate in Greek Week each year during the spring quarter. Louisiana Tech's Greek fraternities and sororities are governed by three governing boards. The Interfraternity Council (IFC) governs the nine male fraternities, Panhellenic governs the four female sororities, and the National Pan-Hellenic Council (also known as "the Pan") governs the six multicultural sororities and fraternities. Louisiana Tech's sixteen varsity athletic teams compete in NCAA Division I sports as a member of Conference USA. The university's seven men's teams are known as the Bulldogs, and the nine women's teams are known as the Lady Techsters. The teams wear the university colors of red and blue except for the women's basketball team that wears their signature Columbia blue. Louisiana Tech's football team played its first season in 1901 and has competed at the NCAA Division I Football Bowl Subdivision (FBS) level from 1975 to 1981 and 1989 to present. In its 111 years of existence, Tech's football program has won three National Championships (1972-National Football Foundation Co-National Champions, 1973-Division II National Champions, 1974-UPI College Division National Champions), played in eight major college bowl games (4-3-1 overall record), and earned 25 conference titles. Its former players include 50 All-American players including Terry Bradshaw, Fred Dean, Willie Roaf, Matt Stover, Ryan Moats, Josh Scobee, Troy Edwards, Tim Rattay, Luke McCown, Tramon Williams, and Ryan Allen. The football team competes as a Division I FBS institution in Conference USA. The Bulldogs are coached by head coach Skip Holtz and play their home games at Joe Aillet Stadium on the north end of the Tech campus. The Louisiana Tech Bulldogs men's basketball program started in the 1909–10 season under Head Coach Percy S. Prince. The basketball team has won 25 regular season conference titles and 6 conference tournament championships. In addition, the Dunkin' Dawgs have earned 6 NCAA Tournament and 9 NIT appearances. The Bulldog program reached the NCAA or the NIT tournaments nine straight years from 1984 to 1992. Three Bulldogs have had their numbers retired by Louisiana Tech. These are Lady Techster Head Coach Leon Barmore (#12), Karl Malone (#32), and collegiate All-American player Jackie Moreland (#42). Other notable former Bulldog players include Mike Green, Paul Millsap, Scotty Robertson, P.J. Brown, and Tim Floyd. The Bulldogs are led by head coach Eric Konkol and play their home games on Karl Malone Court at the Thomas Assembly Center. The Lady Techsters women's basketball program was founded in 1974 with Sonja Hogg as its first head coach. The Lady Techsters have won three national championships (1981, 1982, 1988), 20 conference titles, and 16 conference tournaments. The program has also appeared in eight AIAW/NCAA Women's Basketball Tournament finals, 13 Final Fours, and 27 NCAA Women's Basketball Tournaments including 25 in a row from 1982 to 2006. Alumnae of the program include WNBA All-Stars Teresa Weatherspoon, Betty Lennox, Cheryl Ford, and Kim Mulkey, the first and only woman to have won NCAA Division I basketball titles as a player and head coach. Three former assistant coaches of the Lady Techsters basketball team have won NCAA National Women's Basketball Championships as head coaches: Leon Barmore (1988 with Louisiana Tech), Kim Mulkey (2005 with Baylor), and Gary Blair (2011 with Texas A&M). The team played their home games at Memorial Gym on Louisiana Tech's campus from 1974 until 1982 when the Thomas Assembly Center was constructed. The team is coached by former Lady Techster standout Brooke Stoehr and plays its home games at the Thomas Assembly Center. The Lady of the Mist is one of the most recognizable landmarks on the Louisiana Tech Main Campus. The granite sculpture sits in the midst of a fountain in the middle of the quadrangle (The Quad), one of the focal points of the university and part of the older section of the Main Campus. The Lady of the Mist symbolizes "Alma Mater" who welcomes new students and bids farewell to Tech graduates. The statue also symbolizes the hope that Louisiana Tech graduates will fulfill their ambitions and highest callings in life. The statue and fountain was funded in 1938 by the Women's Panhellenic Association of Ruston, the governing body of the university's sorority groups. The Lady of the Mist was the idea of Art & Architecture faculty member Mary Moffett and Art Department Chair Elizabeth Bethea. The Lady of the Mist was created by Duncan Ferguson and Jules Struppeck and specifically located in the middle of the Quad facing north toward the old North entrance columns of the Tech campus. This was done to welcome everyone to the campus as people looked through the North entrance columns to see the statue's open arms waiting to greet them. The Lady fell into disrepair in the years after its construction. In 1985, the statue was restored through the efforts of the Student Government Association, Panhellenic, the Residence Hall Association, and the Association of Women Students. Today, the statue remains a focal point of students and alumni who return to the Tech campus. Incoming freshman commemorate their new beginning by tossing a gold coin into the fountain. The alumni walkway was constructed in 1995 as part of the centennial celebrations at Louisiana Tech. The brick path stretches from the corner of Adams Blvd & Arizona Avenue through the heart of Centennial Plaza and ends at the footsteps of Tolliver Hall near Wisteria Street. As of May 2011, the walkway contains 72,000 engraved bricks representing all Louisiana Tech graduates from 1897 up to the year 2000. In September 2012, the class of 2001 bricks were added to the end of the walkway near Tolliver Hall. The plan is to extend the alumni brick walkway through the new University Park student housing apartments that were built near J.C. Love Field in 2004–2005. Louisiana Tech has produced prominent businesspeople across several industries. Two Louisiana Tech alumni are currently serving as chief executive officers of Fortune 200 companies: CEO of CenturyLink Glen Post and CEO of American Electric Power Nick Akins. Alumnus Michael McCallister is a former CEO of Humana. Edward L. Moyers, former president and CEO of several railroads including MidSouth Rail, Illinois Central Railroad and Southern Pacific Railroad, is a Louisiana Tech graduate. Billionaire businessmen brothers Charles Wyly and Sam Wyly graduated from Louisiana Tech. Founder of Duck Commander and star of A&E's reality television series Duck Dynasty Phil Robertson earned two degrees from Louisiana Tech. Will Wright, designer of some of the best-selling video games of all-time (SimCity, The Sims, and Spore) and co-founder of game development company Maxis, attended Louisiana Tech. Alumni of Louisiana Tech have also made their mark in the arts, entertainment, and the humanities. Country music superstars Kix Brooks and Trace Adkins are Louisiana Tech alumni along with two-time Grammy Award nominee Wayne Watson. Eddie Gossling, writer and producer for Comedy Central's Tosh.0, attended Louisiana Tech. Alumna Faith Jenkins, winner of the most scholarship money in Miss America pageant history, is the host of the Judge Faith television show, and alumna Sharon Brown is a former Miss USA. Louisiana Tech graduate Marc Swayze is known for creating comic book superheroine Mary Marvel and his work on Captain Marvel. Louisiana Tech graduates have been influential through public service and activism. Former United States Senators James P. Pope and Saxby Chambliss and United States Representatives Newt V. Mills, Joe Waggonner, Jim McCrery, and Rodney Alexander all attended Louisiana Tech. In addition, James P. Pope served as director of the Tennessee Valley Authority. Louisiana Tech alumnus Clint Williamson served as United States Ambassador-at-Large for War Crimes Issues. Many notable military leaders are Louisiana Tech alumni including lieutenant general David Wade, lieutenant general John Spencer Hardy, major general Susan Y. Desjardins, and major general Jack Ramsaur II. Alumna Kim Gandy served as president of the National Organization for Women, and alumnus Jerome Ringo served as chairman of the National Wildlife Federation. Louisiana Tech athletes have starred in the National Football League, National Basketball Association, and Women's National Basketball Association as well as other professional sports. Three Bulldogs have been inducted into the Pro Football Hall of Fame and College Football Hall of Fame: Four-time Super Bowl champion quarterback Terry Bradshaw, four-time Pro Bowl defensive end Fred Dean, and eleven-time Pro Bowl offensive tackle Willie Roaf. Other notable former Bulldog football players include Leo Sanford, Roger Carr, Pat Tilley, Matt Stover, Troy Edwards, Tim Rattay, Tramon Williams, and Ryan Allen. Legendary Lady Techsters coach Leon Barmore and two-time NBA Most Valuable Player Karl Malone are Louisiana Tech's two inductees into the Naismith Memorial Basketball Hall of Fame. Other notable former Bulldog basketball players include sixteen year former NBA champion PJ Brown, former NBA head coaches Scotty Robertson and Tim Floyd, ABA All-Star Mike Green, and three-time NBA All-Star Paul Millsap. The Women's Basketball Hall of Fame has inducted six Louisiana Tech alumni including Kim Mulkey, Leon Barmore, Janice Lawrence Braxton, Pam Kelly, Sonja Hogg, and Teresa Weatherspoon. Other notable former Lady Techsters include Olympic gold medalist Venus Lacy, two-time WNBA All-Star Vickie Johnson, WNBA Finals Most Valuable Player Betty Lennox, and WNBA Rookie of the Year Cheryl Ford. 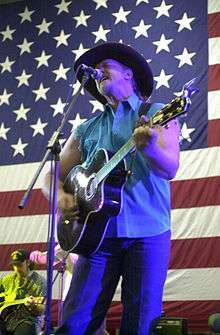 Trace Adkins, recorded three Number One country music hits. Terry Bradshaw, four-time Super Bowl champion. 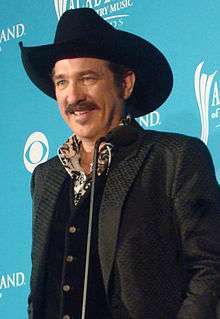 Kix Brooks, won more CMA and ACM awards than any act in country music history. 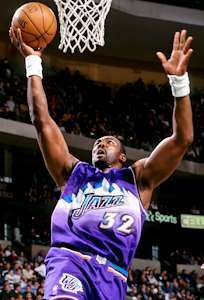 Karl Malone, two-time NBA Most Valuable Player. Phil Robertson, founder of Duck Commander, star on television series Duck Dynasty. Will Wright, video game designer and creator of The Sims, the best-selling PC game of all time. 1 2 3 4 "Preliminary Headcount Enrollment Summary". Louisiana Board of Regents. September 2015. Retrieved 2015-10-19. ↑ "Official University Colors - Louisiana Tech University". Retrieved 2016-10-22. ↑ "LSU, Southern rankings fall". theadvocate.com. ↑ "Louisiana Tech University". Center for Postsecondary Research. 2016. Retrieved February 7, 2016. ↑ "Local News - The News Star - thenewsstar.com". The News Star. ↑ "Louisiana Tech named a National Center of Academic Excellence for cyber education". Louisiana Tech University. 1 2 3 Louisiana (1897). Revised laws of Louisiana. F. F. Hansell. p. 345. Retrieved 23 June 2011. ↑ Biographical and Historical Memoirs of Louisiana. Chicago: The Godspeed Company, 1892, p. 242. Retrieved August 3, 2013. ↑ Louisiana (1898). Constitution of the State of Louisiana: May 12, 1898. H. J. Hearsey, convention printer. p. 100. Retrieved 23 June 2011. ↑ Louisiana; Solomon Wolff (1921). Constitution of the state of Louisiana: June 18, 1921. Bobbs-Merrill. p. 224. Retrieved 23 June 2011. ↑ "Wyly Tower Replacement" (PDF). latech.edu. Retrieved April 10, 2016. ↑ "Belles Of The Ball". Sports Illustrated. 1986-11-19. Retrieved 2009-08-02. ↑ "First nanosystems engineering major to be commended". latech.edu. 1 2 3 4 5 "2011-2012 Louisiana Tech University Catalog" (PDF). Louisiana Tech University. Retrieved 2011-06-22. ↑ Archived October 14, 2012, at the Wayback Machine. ↑ "National Register of Historical Places - LOUISIANA (LA), Lincoln County". nationalregisterofhistoricplaces.com. ↑ "Ropp Center Information" (PDF). www.latechalumni.org. Retrieved May 13, 2011. ↑ "LeBlanc & Young. Full-service Architecture and Interior Design Firm. Shreveport, Louisiana.". leblanc-young.com. ↑ "Tolliver Hall" (PDF). www.latechalumni.org. Retrieved May 13, 2011. ↑ "Hale Hall officially rejoins ranks of campus buildings". latech.edu. ↑ Louisiana Tech University. "Welcome to the Idea Place!". latech.edu. ↑ "A.E. Phillips Lab School". latech.edu. ↑ "The Waggonner Center - Louisiana Tech University". waggonnercenter.org. ↑ latech.edu Archived October 17, 2012, at the Wayback Machine. ↑ Guerin, Dave. "Louisiana Tech University achieves record student enrollment". LaTech.edu. Louisiana Tech University. Retrieved 15 September 2016. ↑ "Fact Book 2011-2015: Enrollment by Parish". LaTech.edu. Louisiana Tech University Institutional Research. Retrieved 15 September 2016. ↑ "About Tech". LaTech.edu. Louisiana Tech University. Retrieved 15 September 2016. ↑ "Fact Book 2011-2015: Enrollment by State of Residence". LaTech.edu. Louisiana Tech University Institutional Research. Retrieved 15 September 2016. ↑ "Fact Book 2011-2015: Enrollment by Foreign Country". LaTech.edu. Louisiana Tech University Institutional Research. Retrieved 15 September 2016. 1 2 3 4 5 "Fact Book 2011-2015: Headcount Enrollment". LaTech.edu. Louisiana Tech University Institutional Research. Retrieved 15 September 2016. 1 2 3 "Fact Book 2011-2015: 1st Time Freshmen Enrollment". LaTech.edu. Louisiana Tech University Institutional Research. Retrieved 15 September 2016. ↑ "National Merit Scholarship Corporation 2014–15 Annual Report" (PDF). NationalMerit.org. National Merit Scholarship Corporation. Retrieved 15 September 2016. ↑ "America's Best Colleges 2017". U.S. News & World Report. 2015. Retrieved December 20, 2014. ↑ "Louisiana Tech University". Forbes. ↑ "2016 Rankings - National Universities". The Washington Monthly. 2016. Retrieved 2016-09-13. ↑ "The Business Journals 2016 rankings of U.S. public colleges: Louisiana Tech University". Bizjournals.com. Retrieved 2016-09-13. ↑ Zadrozny, Brandy (2014-11-06). "The Daily Beast's Colleges Rankings 2014". The Daily Beast. Retrieved 2015-08-05. ↑ "Least Debt, Class of 2014: National Universities". U.S. News & World Report. 2016. Retrieved January 4, 2016. ↑ "The 50 most underrated colleges in America 2015". Business Insider. 30 October 2015. ↑ "Best Colleges in Louisiana by Salary Potential (All Alumni)". PayScale. ↑ "Best Public Schools by Salary Potential (All Alumni)". payscale.com. ↑ "Best Research Universities by Salary Potential (All Alumni)". payscale.com. ↑ "Best Universities and Colleges by Salary Potential (All Alumni)". payscale.com. ↑ "Kiplinger's Best College Values". Kiplinger. December 2015. Retrieved 2016-01-04. ↑ "US News: Login page". usnews.com. ↑ "Louisiana Tech University: U.S. News Best Grad School Rankings". usnews.com. ↑ "Empire State Development: NYSTAR" (PDF). Nystar.state.ny.us. 2014-11-07. Retrieved 2015-08-05. ↑ "Welcome to the College of Business!". latech.edu. ↑ "Executive MBA (Master of Business Administration) Program". latech.edu. ↑ "2014-15 University Catalog, Chapter 12 - College of Education" (PDF). Retrieved October 7, 2014. ↑ Archived October 12, 2012, at the Wayback Machine. ↑ Archived October 17, 2012, at the Wayback Machine. ↑ "College of Liberal Arts". latech.edu. ↑ "Louisiana Tech University - Honors Program - Welcome to the Honors Program". latech.edu. ↑ "Air Force ROTC Det 305". latech.edu. ↑ "Research - Directory - Places - CEnIT: Center for Entrepreneurship and Information Technology". latech.edu. ↑ "TOP DAWG New Venture Championship winners announced". latech.edu. ↑ "Tech, Murphy USA form strategic partnership for educational development". latech.edu. ↑ "Louisiana Tech University - MurphyUSA - Program Descriptions and Curricula". latech.edu. ↑ "SGA - Home". latech.edu. ↑ "Louisiana Tech University - Journalism - Tech Talk". latech.edu. ↑ "Journalism department wins top two adviser awards for Lagniappe, Tech Talk". latech.edu. ↑ "Louisiana Tech University - Journalism - Student Accomplishments". latech.edu. ↑ "News - The Tech Talk Online". latech.edu. ↑ "Louisiana Tech University - Greek Life - FAQ's". latech.edu. ↑ Archived October 15, 2012, at the Wayback Machine. ↑ "Louisiana Tech University - National Pan-Hellenic Council - National Pan-Hellenic Council". latech.edu. ↑ "Louisiana Tech University - Panhellenic / Sororities - Panhellenic / Sororities". latech.edu. ↑ "Louisiana Tech University - Special Collections::M-203". latech.edu. ↑ "Louisiana Tech University - First Year Experience!". latech.edu.